"Lilia filled a vital leadership role on our executive team at a crucial inflection point in MariaDB’s history. As Interim CMO, she re-started our marketing engine and hit the gas pedal on sales leads and PR, providing the fuel for growing the company faster than ever."  Scott Raskin, Chairman of the Board, MariaDB Corp.
Lilia Shirman served as Interim CMO at MariaDB, the company behind the fastest-growing open source database. 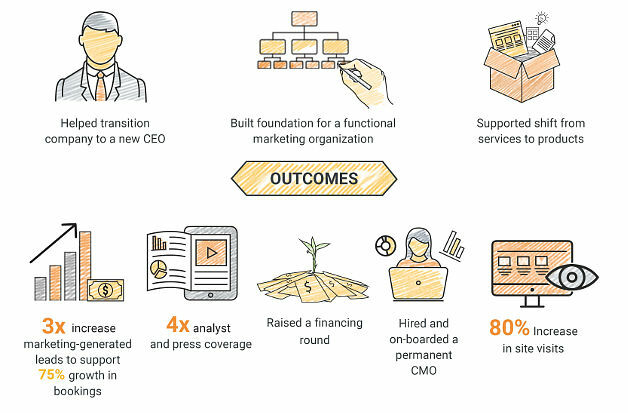 As the company transitioned to a new CEO and pivoted from services to a product focus, Lilia and her team built the foundation for a scalable marketing function and dramatically raised performance of both demand generation and awareness efforts.